Yay it's finally here! 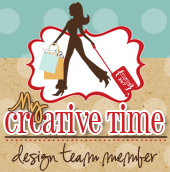 It's the My Creative Time August Release Week! Whoop Whoop! Im so excited about this release! I cant wait to show you this wonderful products! Today we are show casing some new Halloween stamps and Dies! I love Halloween and I cant wait to show you these awesome stamps and dies! Today I made this cute card using the MCT Stitched Spooky Ghost Die and the Fright Night Stamp Set. I love that these dies have layers! Love everything about this card. I especially like the spooky and stitched ghost die and paper choices. Your card is wicked awesome!! You did a great job in your choices of paper and embellies. Great job how you used Emma's new goodies!! I am so in love with what I've seen today!! CUTE...CUTE..CUTE...card. LOving the new ghost and spooky dies!! Very adorable! Thank you for sharing! Can't wait for for this release! AWSOME! I love everything I'm seeing. Great card. Love your card! I really thought the frame looked like a frame from non up close pics! I LOVE your card! Gorgeous papers, GREAT stamps and perfect new dies!!!!! Simply spooktacular!I love this little ghost die set! Very cute love the card! Super cute, love that ghost!! Absolutely fabulous card to showcase this first round of the new release! Super spook-tacular! Excited to shop!! Great card!! I love the design. What a CUTE card!! Love that little ghost and I really like how you distressed the paper! Wonderful card! That little ghost is a must have. Though I have to say, he's just too adorable to be too spooky. Great card, thanks for the inspiration. Loving what I've seen so far on this release. The ghost and the spooky are my favorite so far. Great card! Super cute card! I'm really loving the spooky and ghost dies. Thanks for sharing. Really cute card! That ghost is just adorable!! Oh what a cute card!! I so love Halloween and am loving what you ladies are doing with this sneaky peak release!!! That ghost and the "spooky" is so cute!! Love the distressing too! The ghost and the spooky die are adorable! Can't wait to start creating with them! Love the colors you used on this card! Super cute! That ghost is becoming my favorite. He is so cute just floating there. Super cute card. Great card, the distressing really adds a spookiness to it. Love the distresses card! Super cute! Can't wait for this release! Like the way you distressed the elements on your card. Perfect for Halloween. Love the papers you used and the MCT dies - love the grungy green ghost, very creative! Thanks for the inspiration your card was fabulous:) Love all the distressing, made your card look old and creepy. That spooky die is awesome, gotta have it lol. I LOVE the colors in this project!! great creativity! LOVE! Fantastic colors! Love the spookiness of your card ! Thanks for sharing! Awesome card! Love the papers and the distressed edges look fabulous! Spook-tacular card! Oh - this card is so cute - great job! Your card is terrific. TFS. Cute little card - with the spooky and the witch! I love the ghost, spider web and chalkboard look! Very cute project. Nice job...the distressing makes everything more spooky! The little ghost die is so cute. Sweet card. The distressing just looks spooky! Love it! The spiderweb background makes your card truly spooky. Love the papers, stamps, dies and details...I'm so ready for Halloween! Your edging on the paper sure give it an edge! ;) Hee, hee, super job on this Halloween card! Very cute. Like the squared letters and cute ghost. Fabulous card!! Love the colors and the layering papers. Wonderful little Halloween card, Nancy!